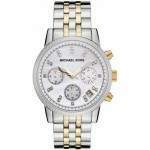 - Golden and silver color stainless steel bracelet strap. - Tread detail on stainless steel bezel. 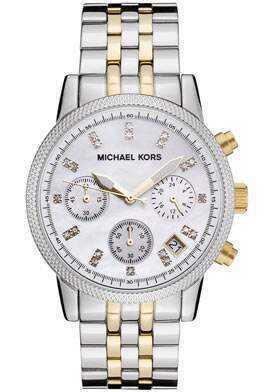 - Mother-of-pearl dial with crystal time stops.